Windows Media Player Disappeared? Get It Back! Microsoft isn’t quite as bad as Google when it comes to trashing much-loved apps, features, and services, but lately the company seems to be moving in that direction. In 2017, we saw the demise of Microsoft Live Essentials How to Replace Windows Essentials in Windows 10 How to Replace Windows Essentials in Windows 10 Are you using default Windows apps to view photos, manage email, or edit videos? Windows Essentials apps will be deprecated in January 2017. Replace the apps on Windows 10 with these third party alternatives. Read More and the first hints that Microsoft Paint might be coming to an end Microsoft Paint Is Dead, Long Live Paint 3D [Updated] Microsoft Paint Is Dead, Long Live Paint 3D [Updated] Microsoft Paint is officially being killed off, with Microsoft deprecating the program with the release of Windows 10 Fall Creators Update. Rest In Peace, Microsoft Paint: 1985-2017. Read More . Now, with the release of the Fall Creators Update, Windows Media Player has fallen by the wayside. It goes missing as soon as you install update KB4046355 on build number 1709. But is it gone forever? Well, no. At least not yet. You can get it back. Here’s how. Go to Apps > Apps and features. Click on Manage optional features. Scroll down to Windows Media Player. The process might take several minutes to complete. When it’s finished, you’ll find the Windows Media Player shortcut in your Start Menu. Click on the shortcut to launch the app. Of course, power users won’t miss the Windows Media Player. It’s nice to be able to bring it back to life from a nostalgic perspective, but the media app everyone should be using is VLC. 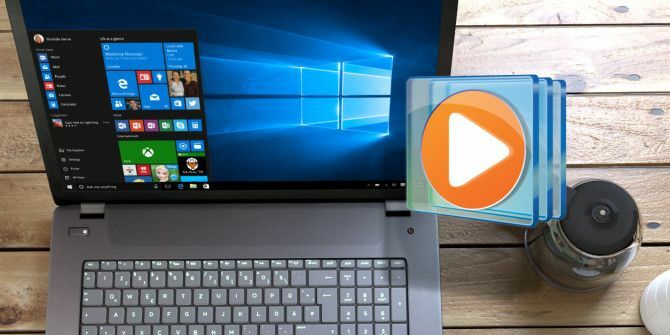 And even if you don’t like VLC, there are still plenty of alternatives The 5 Best Free Music Players for Windows The 5 Best Free Music Players for Windows Downloading music still has its benefits. For one, you can play music even when you don't have internet access. But which music player should you use? Find the best free music players here. Read More that are much better than the native Microsoft app. Will you bring Windows Media Player back to life? Let us know in the comments below. Explore more about: Troubleshooting, Windows 10, Windows Media Player. Rarely ever used Windows Media Player, it has usually started playing by accident (basically by not paying attention to which player windows suggested using). I am still using Windows Media Center with Windows 10. It has been a long time favourite media player on my HTPC, especially as it integrated so well with my 2x dual Hauppauge TV tuners. I have found that after trying a multitude of different players, including Hauppauge's own software, for my purposes none of them as a whole package are as good. But since its removal from windows and lack of support and updates, I have only had the odd occasion, where even up until now, it did not want to play something (had to resort to VLC). Never understood why Microsoft would so suddenly and completely drop such a great piece of software. Though I am happy that I can still get it to work. This is regarding BritBox and Acorn. Once subscribed do they charge per season like other carriers? The problem I have with WMP is it is constantly creating duplicates of different songs. It's not always the same songs either. So I just use ITunes. I still have WMP. It doe everything I want. Why change these things. If it aint broke dont fix it. One positive reason for making Windows Media Player the default music player is the preview handler that comes with it, which allows you to listen to music files in File Explorer without having to open them. That's a great tip! Thank you, Gordon. HP put CyberLink Power Media Player 14 as the default on all their Windows 10 machines. Microsoft has not updated Windows Media Player in years since releasing version 12 several years ago.